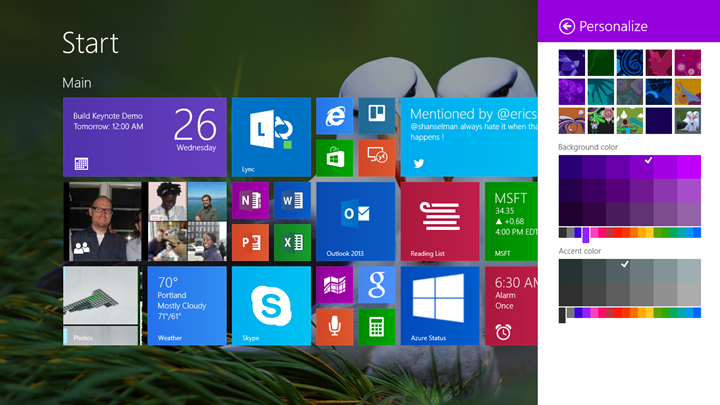 I just bit the bullet and installed the Windows 8.1 Preview on my Surface RT. It's a one-way upgrade (meaning you won't be able to go from this Preview Build to the final) so make a Recovery Drive with a USB drive you have lying around. You'll need at least a 4GB USB key for this backup and the drive will be erased. Then go to http://preview.windows.com and follow the instructions. 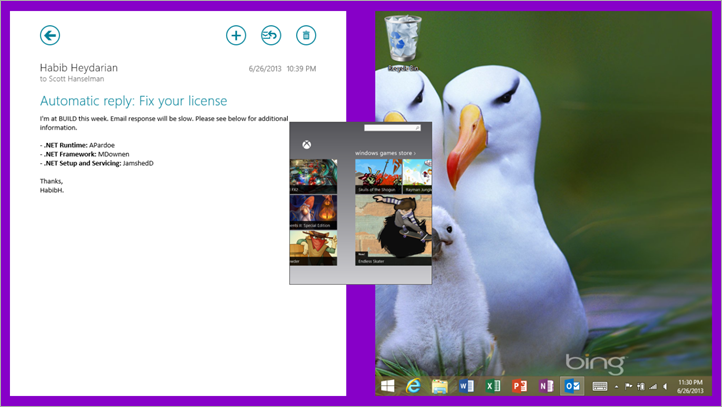 Basically you download an update, install, reboot, and then the Windows Store says Windows 8.1 Preview is available. You install for a while (took a few hours) and assuming you're signed in with the same Microsoft Account it will redownload all your apps. Warning: Installing anything called "preview" is for advanced/enthusiast folks. Expect nothing and you'll never be disappointed. Backup your crap. Be prepared to torch your machine to get back to the mainline. I honestly didn't use my Surface RT that much, mostly just for Movies and Stuff, but this new 8.1 update adds some stuff that will have me using it around the house more. 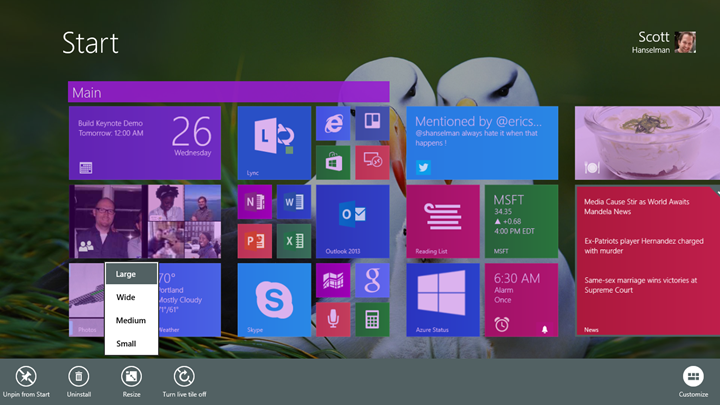 Here's 10 features that are making me look harder at Windows 8.1. The Start Button is back, down there in the corner. But that's not as interesting to me as the ability to use your Desktop wallpaper as your Start Menu background. This might be hard to visualize, but the point is that if you hit the Start Button (or the Windows Key) you'll immediately move to the big Start Menu. When the background of that menu is your same desktop wallpaper, the result is much less jarring than a bright background and makes the whole Windows 8.x experience much more comforting. 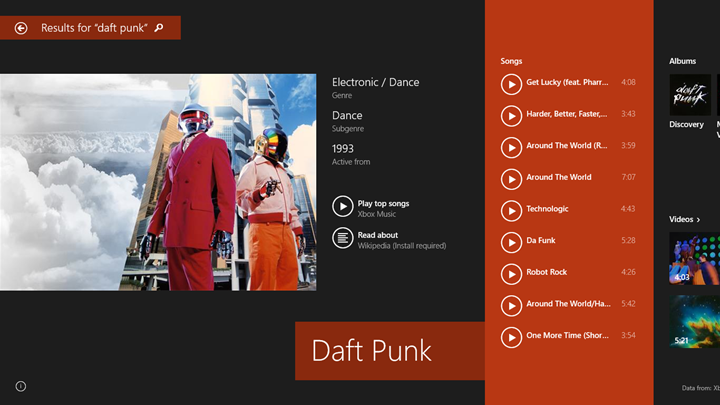 From the Start Menu, hit Windows-C, click Settings, then Personalization. You'll see the menu fly out as in the picture below. Select the tiny thumbnail of your wallpaper. It's the square with the birds in my picture here. This little change is a huge difference. I wish this was the default experience, myself. Since my Surface RT includes Office RT (Word, Excel, PointPoint, etc) it looks like Windows 8.1 adds Outlook 2013 RT to the mix! This was a total surprise to me, and is the #1 reason I'll start using my Surface for work stuff. I'm surprised this hasn't been noticed by some of the tech sites I read. It's an awesome addition. 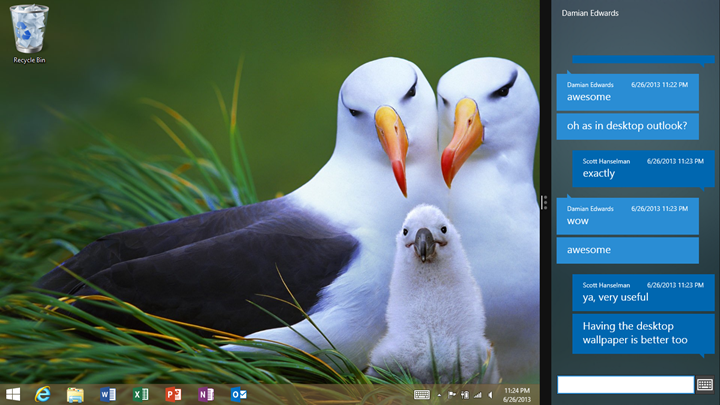 Windows 8.1 seems much smarter about making decisions about window management. Here I've launched the Games app while running the Mail app on the left and the Desktop on the right. it's hovering (teetering, even) in the middle, waiting to be pulled from one side to the other, rather than just taking over one of my existing apps. Apps can be 50/50 split on the Surface RT, as well as the other 70/30 options. Icons are moved more like on my other tablets, with a push and hold gesture. Except you can select multiple icons, start dragging them with one figure while scrolling with the other finger. Grouping and customizing is way easier. Here is me starting to move things around. I've got the Office stuff tiny, and the News app largest. Apps that are newly installed get marked "new" in the All Apps few. You swipe down from the Start Menu to get here, and can sort by Recently Installed as well. I found a bunch of new apps I hadn't seen before like Calculator, Sound Recorder, Health and Fitness and Alarms. The Settings area has a LOT more info than before, including some rather deep pages (you may have to hunt) like this one on my Wi-Fi Router. Note that it's marked as a Meter Connection. I thought it was cool that Outlook didn't connect automatically when this was marked as Metered (this means my router has limited data and I could be charged for big downloads). I have personally downloaded gigs of mail while overseas and gotten nailed by big bills, so this was cool. The Metering is an existing feature, but the deeper details into my Wi-Fi and devices is new. 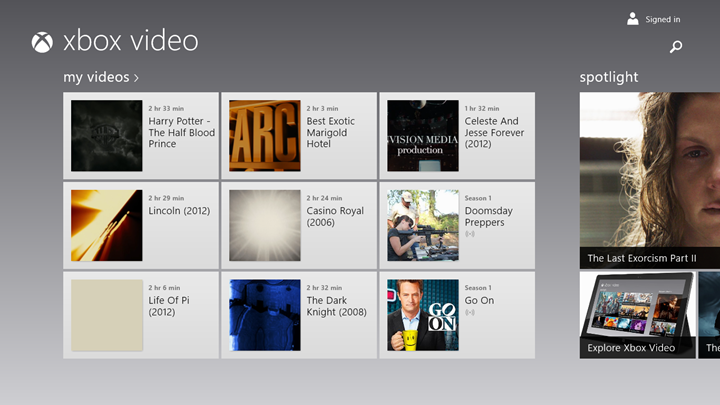 Here's my videos listed, some in the cloud and some on my micro SD card. 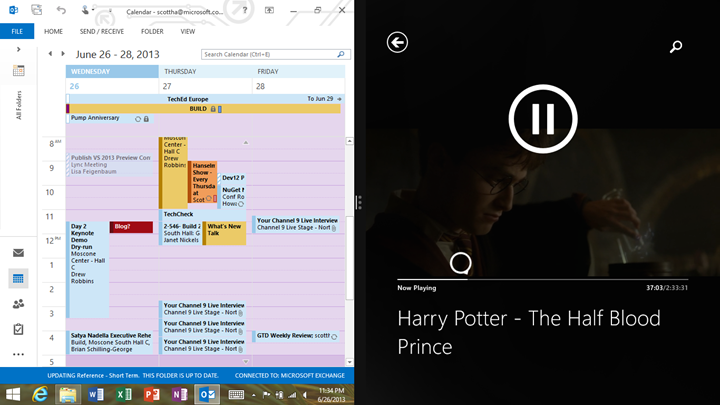 Here I am looking at Outlook while watching Harry Potter in Split-Screen. My wife is NOT a fan of my Surface RT for one basic reason. It won't stop beeping. I installed Twitter and Twitter "pops toast" - meaning, it uses notifications - and it's forever going off and beeping at night. Yes, I could turn off notifications, or sleep it, and I do, but when I'm using the thing I want it on. 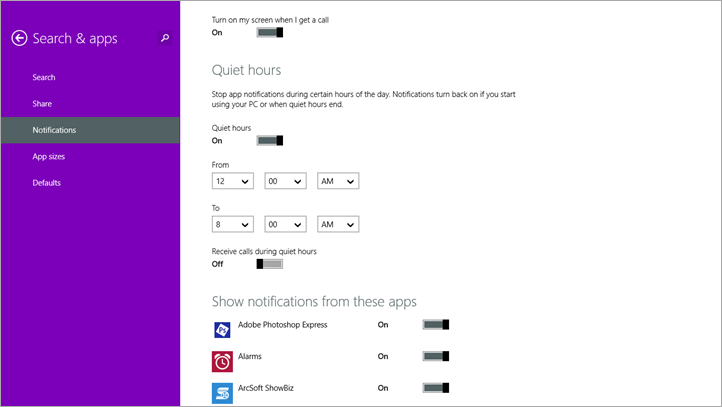 The Notifications options have been expanded to include "quiet hours," which is a nice touch. I'm a big fan of Instapaper and the idea of a "Read It Later" gesture. This is different from simply bookmarking. This is a queue of long-form reading material. 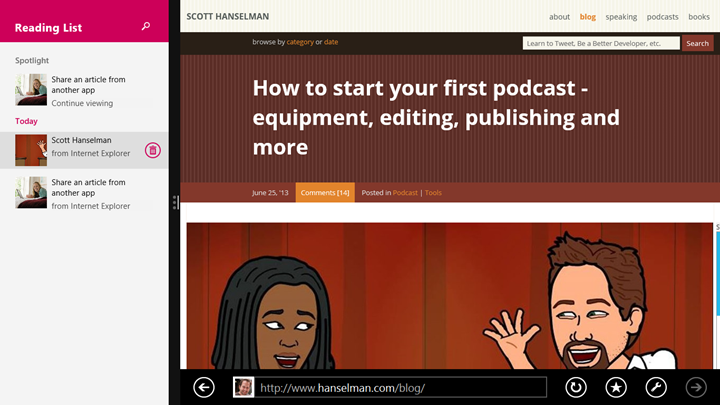 From apps like Internet Explorer you can invoke the "Share" action. I could share to Twitter, Mail, some People, or the new Reading List. Then I click to Share, and later on go to my Reading List (now pinned to my Start Screen) and go read my long form articles. I haven't checked but I'm presuming this list would be persisted transparently across all my machines. The highlight for me is Outlook 2013! I need to get me a Surface RT ASAP. I will be doing stuff to write it off as a business expense shortly. Is Windows 8.1 ready and safe for us desktop users? If I install it on my production laptop what is the downside? Will the upgrade to full version be flawless? Are you sure this statement is accurate? "It's a one-way upgrade (meaning you won't be able to go from this Preview Build to the final)"
"If you're currently using Windows RT, you won't be able to uninstall Windows RT 8.1 Preview. You'll be able to upgrade to the final edition of Windows RT 8.1 when it becomes available." Dave - Hm, maybe it is different between RT and Pro? I swear I saw it say that it was a one-way ticket. I'll look into it. Anyone else know? +1 Start Menu Wallpaper == Desktop Wallpaper by default. You can upgrade from Preview to Final, however you will lose all your installed applications, Desktop and Store (Like a Windows 8 Refresh) but your files will be safe. One little touch I've noticed on my 1080p monitors, is when bringing in the Charms menu with the mouse, the charms move closer to the top or bottom depending on the edge you swipe in from. It's the little things! @scott- According to the answers website, on both RT and Pro, you can later on update from the preview to the final version through another store update. Is it not still the case that Office on the Surface RT is not licensed for work purposes? If so, does that not negate the usefulness of Outlook somewhat? Searching the Internet by default just seems like a bad idea to me. I hope there's an option to turn that off? The website says it is a one way ticket because there is no way back to 8.0, but we will be able to go forward to RTM when available. The other thing it warns us when installing is that when you go to RTM you'll have to reinstall all your apps, but since they all come from the store, that will be easy. The fact that Outlook would be part of the 8.1 update for RT is old news, that's why you didn't see it on news sites about the preview availability. I'm really happy with my RT from last //build/ and I'm installing the preview right now. This update will make such a big difference. I'm really looking forward for it to finish so I can start using it. I like it so far, but one thing I didn't like with IE11 is they changed the open tabs to show up at the bottom instead of the top when you swipe down. It was easier to access the tabs when they were at the top of the screen. I hope they will allow you to customize that since they have added the ability to keep the address bar open. Other than that, I like the new features. What about the x86 emulator in the Windows RT? Is it a new feature in the Windows RT Preview 8.1? Will it be in the final version of Windows RT 8.1? I was hoping for changes to the Pictures and Documents apps so I could see files from shared drives. I believe it's possible now when the share is on Windows 7, that really doesn't help me. The shared background image seems like a small touch, but the demos I've seen (haven't installed yet) look FAR less awkward than the 8.0 experience. With 8.0 I feel like I'm not just switching to a different computer, but a different KIND of computer. With 8.1 it looks like a different VIEW on the same computer. It's a fairly minor/subtle difference, but I think it will make a big difference. Great post Scott. I was very "meh" about the desktop wallpaper thing, but after seeing pictures I'm completely down with it and can see that it will be Very Good Thing. I'm also looking forward to the improved search - it drives me batty having to "winkey typity down down enter" just to search for stuff in the "control panel". Very happy to see "quiet hours" feature. It's the little things in life that matter. There are rumours that MS have sorted this, fingers crossed it's there ! 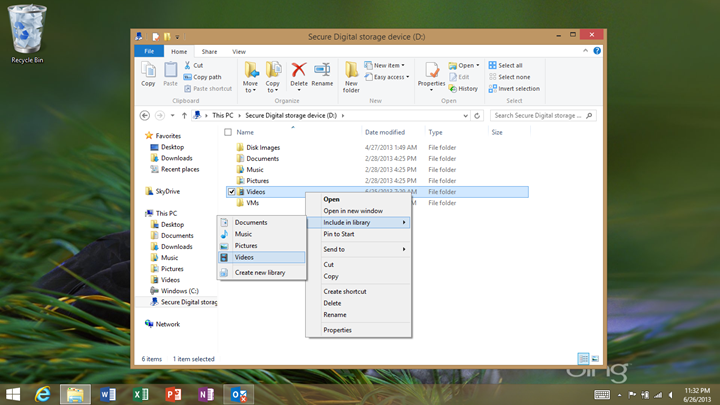 I'd like it if Windows automatically added appropriate Documents, Music, Pictures, and Video folders to your libraries on an SD if it detects them on insertion. It's still one step too many as you really don't want users needing to go to the desktop to setup that functionality. I don't understand the metered connection thing entirely. 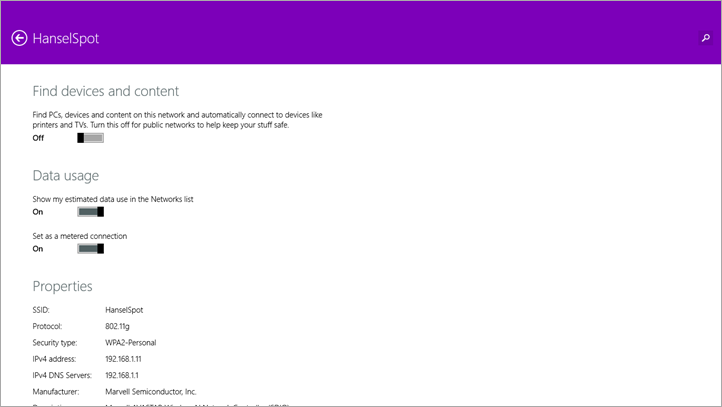 I was hoping for a feature where you can say (on my Windows 8 Phone for example), "Netflix, never ever pull content unless you were on a WiFi connection." I was hoping to get more granularity over which apps could pull data under which connection. Is that what "metered connection" does? So do you just use the built in apps? What apps in the RT app store have you found useful. See, to me this would be perfect for some gaming and productivity (e.g. video editing, audio editing, photo editing), but being an ARM device means it can't use the plethora of Windows apps. Looking like some great tablet changes so far. However, I'm still waiting for a version of Windows 8 that is usable for desktops/laptops. Three 24" monitors, and I can run two things. Seems legit. Adding a button that jumps me from normal mode to LOOK AT FULL SCREEN TABLET MODE PRETTY! rather than a keypress doesn't really change the annoyance level. Relax, You can Use Office 2013 RT for Work Too! Is anyone else seeing the Remote Desktop options disabled in 8.1? I can no longer RD to the my machine and the options are greyed out (although 'allow remote connections to this computer' is selected). For the upgrade question, the internal MS IT page says that WinRT can be upgraded directly from Preview to the RTM, but standard Win8 requires a clean install with data migration. I have to agree with Philip on this one. My mom recently bought a notebook with Windows 8 and she uses it primarily to browse Facebook and to import/edit photos that she uploads to Facebook. On occasion when she's working with photos, she gets stuck in a Metro app and has no clue how to get out of it so she go back to Facebook on the desktop. I'm hoping Microsoft makes this a lot more intuitive, but I haven't read any changes in this area yet so I may have to switch her back to Windows 7. I'm quite liking 8.1 Preview on my Surface RT. Even if I did have to jump through a few hoops due to having a UK RT. 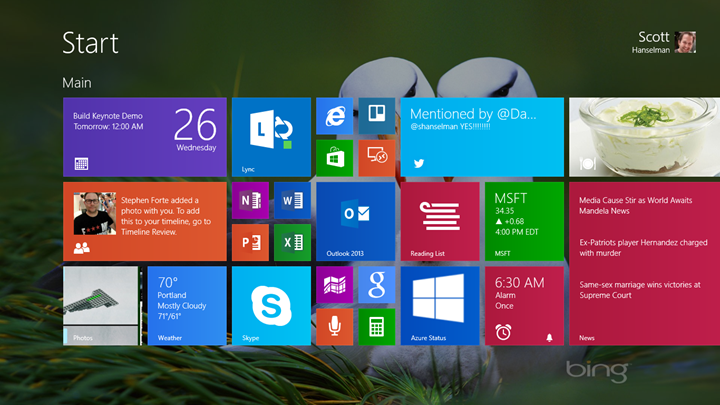 I like the new tile sizes, and having the desktop background on the start screen actually works really well. There are lots of positive changes here imo. I must point out though that I was actually a huge fan of Windows 8 how it was, and never agreed with many of the criticisms. Almost feels like the shoe is on the other foot now, as i'm the one feeling like something I really liked has been changed negatively. The one thing I really don't like is the new search. I thought it was spot on how it was in Windows 8. The search for Daft Punk in the post looks great, but more often than not I am hitting the search button and typing the name of an app, or a setting I want to change. Now when i'm doing this it feels like all that space to the left is just wasted, where as before I had a nice big area showing me the search results. I know when I press enter I see a screen of results, but it just feels less fluid than it did before. I think the key is to allow as much as possible to be configurable by the user. I'd like to for instance remove the start button, and as somebody else said have the IE tabs appear at the top. Neither are a big deal, and I do think there's more positive changes than anything else. 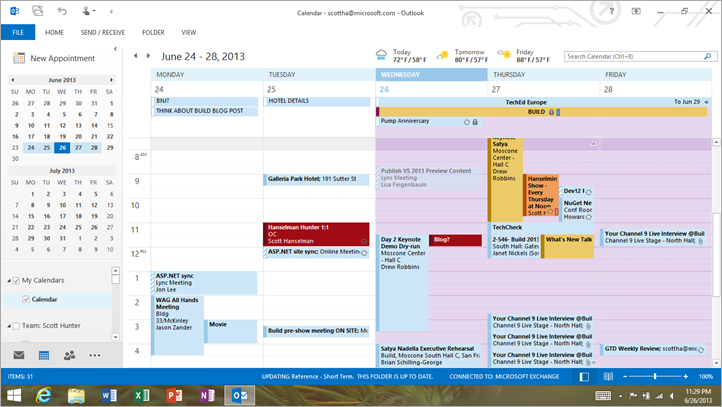 Having Outlook 2013 is awesome, I hope more business users will consider Windows RT as I think it's one place it's been underestimated. One thing I just noticed after posting is that the new store (which is great otherwise) now has it's own search bar, and the search charm no longer lets you search within the current app. Feels like it kind of goes against the thought process behind the search charm, about teaching users a behaviour that can be re-used. Something which made total sense when Microsoft explained it at various dev camps. Now I can't show somebody the one place you can search from within any app that supports it, it means back to the days of finding where the search functionality is in each app. Not a problem for most of us, but the idea of teaching the user "this is where you can search in any app" once rather than them learning it per app was a really appealing idea. What’s those special words one uses at meetings to get their ideas heard and done? “Yeah, give, start, discuss and meeting”. Yeah, that looks great. Please give me a second to question something. I would like someone to start an explanation of how Win8.1 charms works on either remote desktop or in virtual environments without “remote-touch”. I would welcome a discussion about visual enhancements over cosmetic ones and… something, something, something meeting. Looks like nobody noticed that the last accessed options in settings jumps to the main part of settings. Making then available at one touch. Other thing id that now you can close an app that is in the sidebar even in the start screen (I disabled the "swipe to the most recent app). I don't see any mention of Skydrive and an offline copy. Does it now do this? This is a pretty important feature I would have thought. Brian, in Explorer I now see my SkyDrive folder, pretty much how I would if I had the desktop app install in non-RT Windows 8. If I right click I have the option for making available offline, but I haven't tried it yet or checked to see how granular that can be. Hopefully specific folders only is an option. Nice that it seems to show all the files in there even the ones that aren't synched for offline access. Then Instapaper appears in your SHARE list. I'm very glad Microsoft did Search Anywhere, as a developer myself, I understand how it's so easy to miss things that your customers or other developers will see as no-brainer and say "how could anyone ever miss those?! ", but still, this was sort of my impression when I first tried Windows 8 search and kept clicking the "Settings" tab, which surprisingly happened a lot. Very glad this is now fixed! 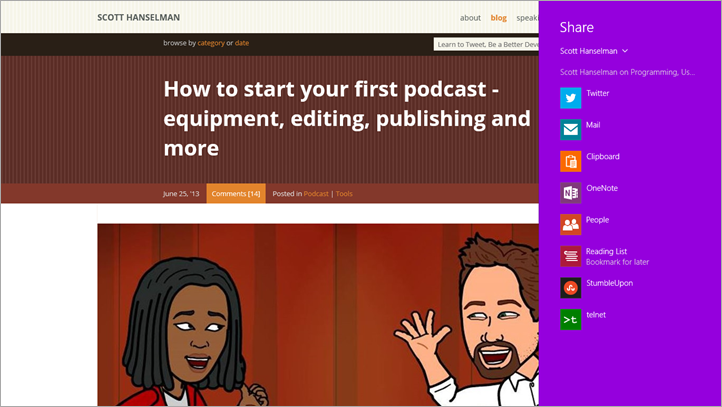 Did you tried 1001 Bookmarks: it does the same than the Reading List and is already available for Win8. Nice to see that some of the annoying things that make it worse than an Android tablet have been fixed while improving its Windows ability. I haven't stopped using my Asus Transformer all this time. And what happens when you have a dual monitor setup with 2 different wallpapers? I use the start screen on both and if it isn't intelligent enough to match each screen it will be wrong for at least one. Also does creating a recovery drive mean I can very easily go back to my system exactly as it is now. I love the look of that messaging app in the first screenshot. Seeing as 8.1 no longer has messaging, can someone please tell me what that app is? I've searched the store but I haven't been able to locate anything that looks similar. Thanks! Windows 8 RT is a rip-off, dead end operating platform. Just Microsoft trying their control freak tactics on the iPad market. Bought one for my 11 year old, games will not play, he's gone back to his cracked iPad and his mom's iPhone. Don't waste your money. They won't run java, pay to run apps from their store or screw you. True Microsoft...should have know better. Yet another article that makes me want to buy an RT. I guess I'll have to bite the bullet sooner or later too. That Messaging App is Lync. Did I see that right? 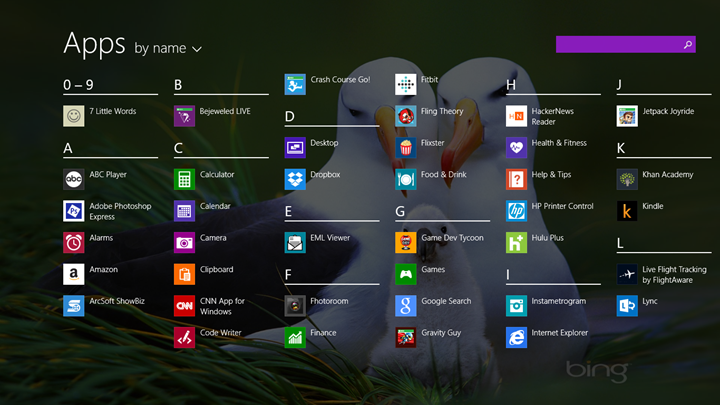 The "start" button just takes you back to the Metro start/tile page? If so, then MS missed what the public was crying about. Just installed 8.1 preview on a new Lenovo desktop with two monitors and a bunch of stuff that seemed clunky with multiple monitors before appears to be fixed - like running one app on each screen which didn't seem to work before. Still would be nice if it could figure out that when an app is running full screen on one monitor, and a desktop program is launched, that if the other monitor doesn't have something running in full screen that it would launch over there. Current behaviour is that the desktop program will launch on the last monitor it opened, shutting down the full screen app if that's the last screen it was on. "This little change is a huge difference. I wish this was the default experience, myself." The start menu background is massive improvement. Microsoft has to make that the default. It's unbelievable that such a small change makes such a huge difference to the UX. I think I will try it on the surface RT now! I'm thinking about purchasing Surface RT after the price went down but seen some negative reviews on Word speed - it can't keep up with you typing. Is that still an issue? Juraj - No, I don't see this on an updated Surface. I am looking for reasons not to return my RT. If 8.1 has Outlook, does that mean that pop email options exist now? And secondly, I didn't see an answer to the question above regarding Remote Desktop which is a must for me. Thanks in advance. I saw on the website bluestacks for windows Rt(ARM)was supposed to come out with the release for windows 8, but it released six months ago and still nothing. It's available to pro, but not RT even though majority of the apps were made for ARM to begin with. What gives? Anyone know when this will be available? Also, Amazon supports all tablets but Windows for textbooks, and they won't work with kindle app. Textbooks that are supposed to be in sets are split between Kno and Vitalsource (which you can't use on Rt), and Kno doesn't carry majority of my nursing books. The only other way to use etextbooks is renting them on CourseSmart, and can only be viewed online on RT. Can't buy the books, and can't work on assignments or study places with no WiFi. I was hoping to be able to use them in the car, in planes, and when visiting my family in the country (where, believe it or not, there's still no internet service.) Any idea if Amazon and MS plan on making nice, and fixing this? For RT specifically since Pro is an actual computer and can download and run nookstudy? Joanne - Yes it has a Remote Desktop app and POP email should work in Outlook. As a power RT user, Outlook is a great addition! Thank you Microsoft, I found that coding with metro and some of the free FTP apps to be really nice touch to get coding done on the road. While I'd like support for Java so I can use my freemind application I just really need to wait for a good metro freemind application. I'm glad to see growing support for RT cause it really is a great product. I just bought a surface RT and am ready to return it. I need it to do Chrome or Firefox. Any idea if this 8.1 preview update will open the door for either one to run on the RT? IE will not do for my application. Well, bummer, now that it's officially out, tried the upgrade on my home computer and it says it can't install it. The reason? I have an SSD and 2TB HDD. I set it up to have the user folders in the HDD because the SSD wouldn't be able to deal with all the stuff in user folders (not documets/music cause I can easily save them elsewhere, but mostly temp, appdata). I used sysprep.exe during install for this. Even more annoying, after restarting it tries to install again on it's own, forever yielding the same message and even worse, downloading the update EVERY time! Any ideas if the search charm problems ever going to get fixed?